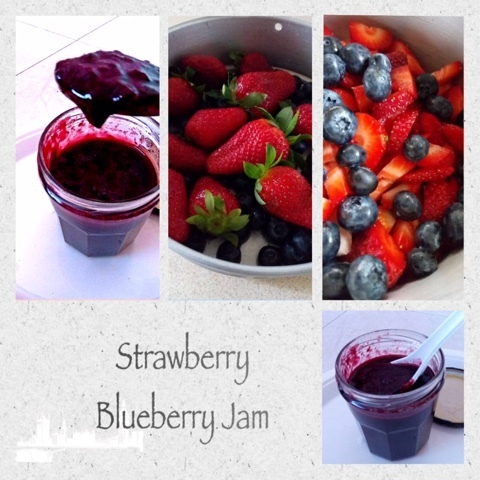 I love making jams , even small quantities almost every fortnight to go with bread and making simple sandwiches . The store bought ones though tempting with great flavors do entice me but am wary of the loads of sugar and gelatine hence home made is the only answer . Unlike what many think about jam making as a tiresome chore that needs lots of patience , I do not think so as first of all I do not make them in large quantities for the simple reason I love experimenting with fruits combinations and flavors ., so the weekly run to the groceries will see me picking up some seasonal fruits for the fortnight . One such run saw me picking up some juicy awesome berries , blueberries and strawberries . 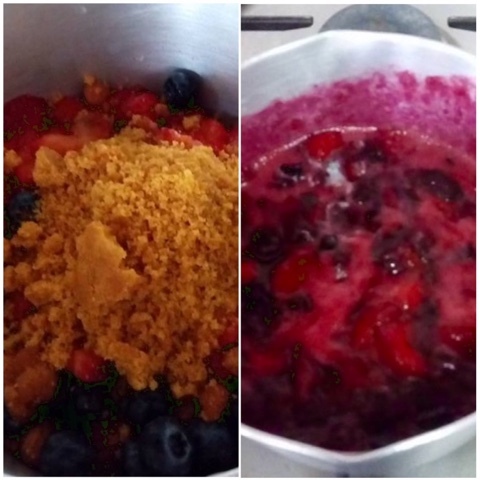 Both are my favourite berries for many recipes such as crumbles, cheesecakes and smoothies . Wash the berries , wipe dry . hull and quarter the strawberries . 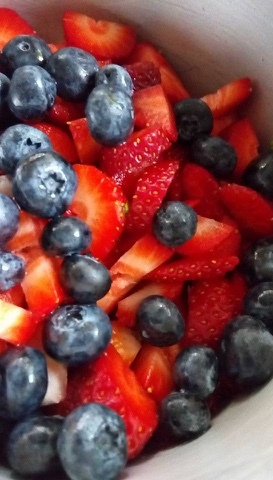 In a pan add the chopped strawberries and blueberries . Mix in the powdered jaggery . Add in the lemon zest and lime juice . Keep the flame on low and let the whole mixture bubble . 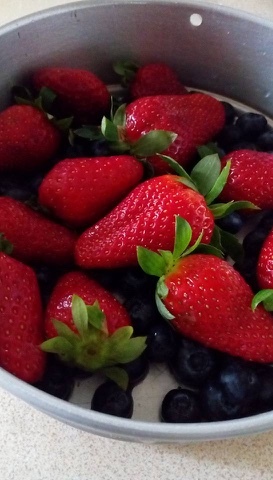 Do not add water and let the berries cook in their own juices . This also keeps their shelf life longer . 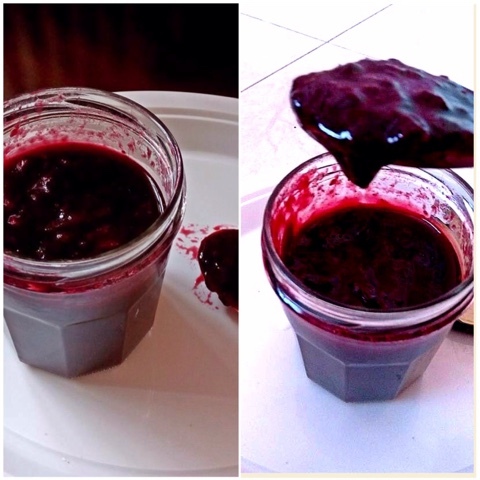 The juice of berries will melt the powdered jaggery and make it syrupy . Keep occasional stirring and check the consistency . Within 10-12 minutes you will see the texture changing from a thin juicy mixture to a thick satiny mixture . Test with a drop on a plate , it will seem to gel on it and remain thick . You can also make this into a fruity preserve with lighter consistency . Which can be used to make fruit yogurts and mixed with just about anything from breads , cakes , pour on pancakes and fruit shakes or smoothies too .